At 12:57 pm local time, spring arrived in Muskoka with a blizzard! The local news suggested Mother Nature didn’t get the memo but I think she simply had a mind of her own. 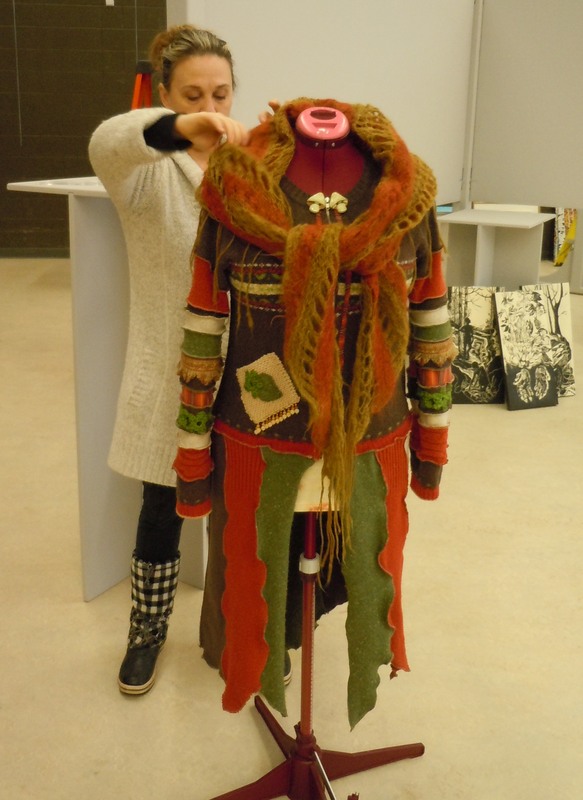 Henrike, we make a great team. Just look at this wall! 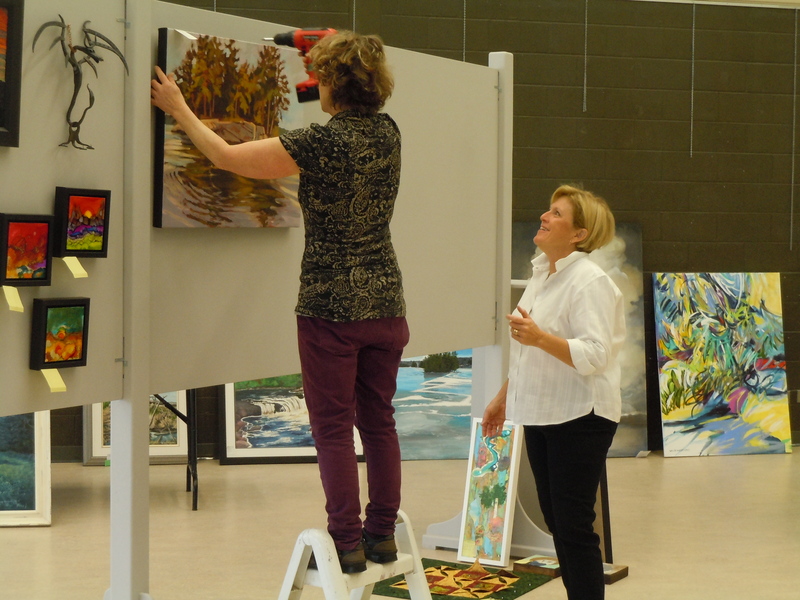 In spite of the weather and perhaps to spite it, the art show set-up crew showed up at the Bracebridge Sportsplex and spent the day hanging, placing, arranging the over 225+ pieces of original art submitted for the MAC Members’ Spring Art Show. 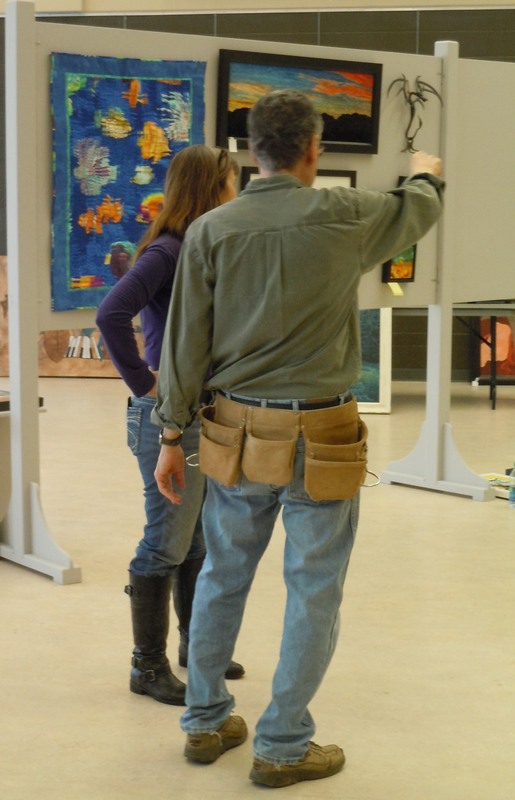 Pottery, sculpture, fibre work, paintings in all mediums, metal work, stained glass, clothing, jewelry, basketry and more! So, Pam, how about that one? Make sure you’ve got that in the right spot, Wendy. 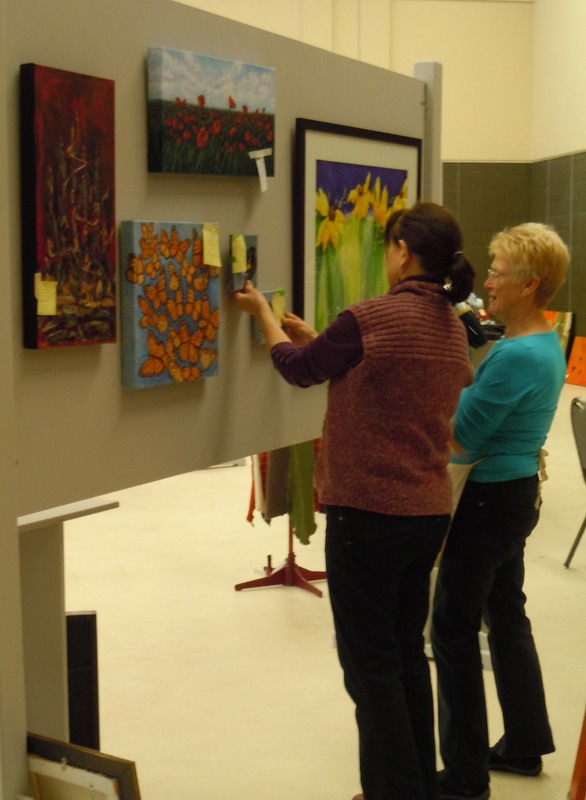 On Saturday, March 22 (10 am – 5 pm) and Sunday, March 23 (11 am – 4 pm), many of the artists will be available to share their inspirational works and provide demos. Come by and enjoy the amazing talent found here in Muskoka! I love your comment about not getting the memo. I wish you a very successful art show.